The United Nations international criminal tribunal in The Hague has Wednesday 20 March 2019 rejected former Bosnian Serb leader Radovan Karadzic’s appeal against his conviction for genocide and war crimes committed during the war of 1992-1995 that saw the bloody carving out of the so-called entity Serbian Republic within Bosnia and Herzegovina and increased his sentence to life in prison. 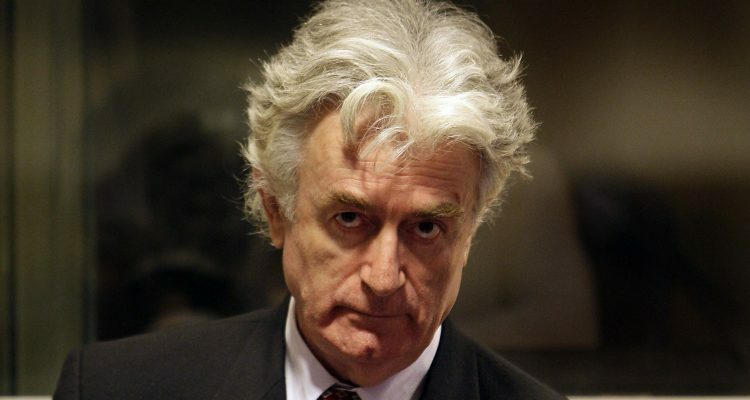 Without a shadow of a doubt Karadzic was one of the architects and leaders of the joint criminal enterprise to permanently remove Bosnian Muslims and Bosnian Croats from Bosnian Serb-claimed territories throughout Bosnia and Herzegovina between October 1991 to 30 November 1995, which resulted in genocide and crimes against humanity. Judges in The Hague upheld a 2016 ruling that Karadzic was responsible for crimes including the 1995 massacre of 8,000 Bosnian Muslims at Srebrenica and the 44-month siege of Sarajevo which claimed about 10,000 lives. Presiding judge Vagn Joensen said the original 40-year sentence did not reflect “the extreme gravity of Karadzic’s responsibility for the gravest crimes committed during the period of conflict, noted for their sheer scale and systematic cruelty”. Reading the verdict of the five-judge panel, Mr Joensen said a life sentence was appropriate given the “extraordinary gravity of Karadzic’s responsibility and his integral participation in the gravest of crimes … committed throughout the entire area of the conflict in Bosnia”. As a reminder, Radovan Karadzic warned Bosniaks and Croats about the dangers of an impending war in Bosnia and Herzegovina in a speech in October 1991 in the Bosnian parliament, after Slovenia and Croatia had already declared independence from Yugoslavia and war of Serb aggression was at its genocidal and ethnic-cleansing of Croats terrifyingly raging stage. He said that leaving Yugoslavia would plunge Bosnia and Herzegovina into violence. The same destiny Croatia was fighting against, defending itself at the time of his speech in Bosnian parliament. “The road that you are choosing for Bosnia and Herzegovina is the same highway to hell and suffering that Slovenia and Croatia have already taken,” he told lawmakers. It was a speech that seemed to predict the brutality of the coming conflict, and the massacres that would follow. It would be a “replica” of Serb atrocities that were happening in Croatia. Bosnia and Herzegovina became independent in 1992, after a vote that was opposed by Serbs who wanted to remain part of Yugoslavia, and then the war broke out. The Hague has done what it has done. What has the Croatian government done to bring the perpetrators of war crimes to justice 28 years on, very little. 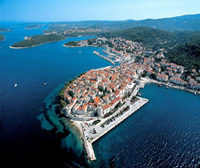 They walk the streets of Croatia and Australia with impunity. Great finally a justified outcome, but one which I can’t get excited about because there is no catharsis in Serbia; only denial and only a cry of equalization of guilt even though the vast majority of crimes and the initiation and persecution of the wars was Serbian. Also, what about the crimes against Croats he inflicted – I only hear crickets. Recents Vucic said 1) that countess times is spent on the Hague – LOL, yeah because it was a criminal war of aggression by Serbia for which it needs to be held accountable both morally and financially. And yet, Vucic spends even more countless times on Croatia, demonizing it through ghosts of ustasha and the propaganda and lies of communist Yugoslavia; which in effect was a defacto Greater Serbia – hypocrite. 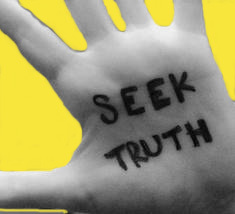 2) The real question as Vucic so desperately tried to diminish is the criminal and Serbian expansionist foundations of the RS; which he called the RS a defacto reality. BiH was a defacto entity at the end of Yugoslavia, yet he and Serbia abolished it through a war of territorial expansion and aggression waged in a criminal manner. The RS has no moral basis. When you wipe out a population by killing and expelling all non-Serbs and making life unbearable for those token few left that were once the majority in the territory conquered, and then create a statelet, you certainly don’t have the moral high-ground. Poor Vucic ever the victim…that is of a counter punch because his victim refused to give up. Great to see your blog develop and grow – and more importantly see war crimes recognised and punished. Thank you Scott on your feedback. Much appreciated!